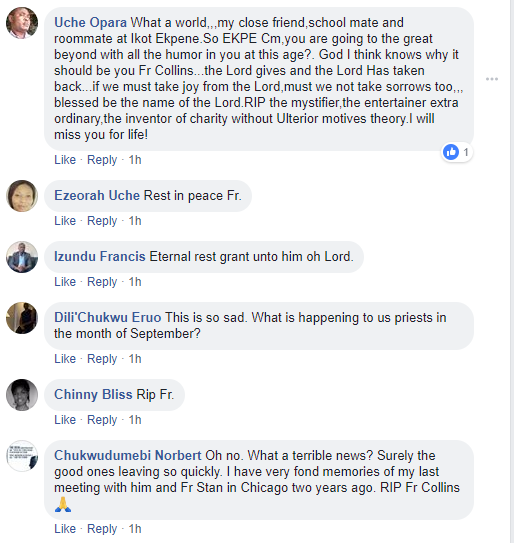 A Nigerian Catholic priest had passed away in far away Chicago in the US, leaving his friends, colleagues and well wishers in lament. The deceased identified as Rev. 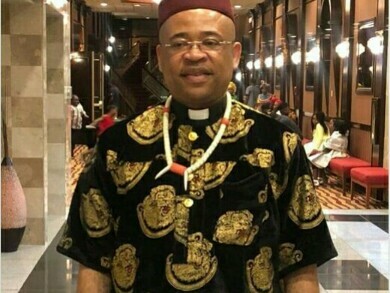 Father Collins Ekpe - was the parish priest of St. Kizito Catholic Church in Kuje area in Abuja from 2008-2013 before he relocated to America to study. 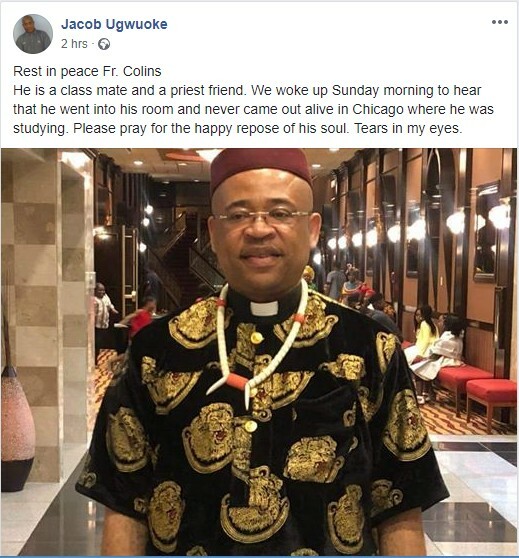 According to Jacob Ugwuoke, a friend and classmate of the late priest, Father Collins died after he went into his room in Chicago to study and never came out alive. The real cause of his death is yet to be ascertained as some have attributed it to illness. He is a class mate and a priest friend. We woke up Sunday morning to hear that he went into his room and never came out alive in Chicago where he was studying. Please pray for the happy repose of his soul. Tears in my eyes.